[quote=""Misfit""]Just found another cover for Marianne and the Masked Prince. Glad my copy was a plain hardback. Looks a bit like Marianne is a store dummy and he is trying to put her back on her plinth. Yes it does. Slooooow workday so I've been hunting down covers for future reviews. Still bored, found a few of the French versions. There were a couple others but the image was very fuzzy. Looks like the same pose in each with a different background. The woman at the front is Mme Recamier I think. 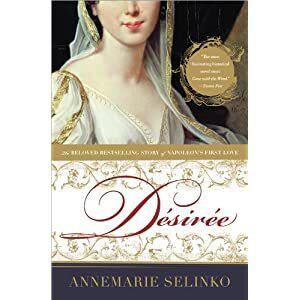 I think they mean the heroine of Annemarie Selinko's Desiree, a 1950s novel about Desiree Clary, the merchant's daughter who was briefly engaged to Napoleon and eventually became Queen of Sweden. I grew up with the Catherine series and loved it so much I bought copies in French, which come with an 'extra' - Juliette Benzoni's account of how the books came to be written - so if anyone is interested I will summarise/translate. Last edited by Miss Moppet on Fri August 20th, 2010, 3:47 pm, edited 1 time in total. [quote=""Miss Moppet""]I think they mean the heroine of Annemarie Selinko's Desiree, a 1950s novel about Desiree Clary, the merchant's daughter who was briefly engaged to Napoleon and eventually became Queen of Sweden.